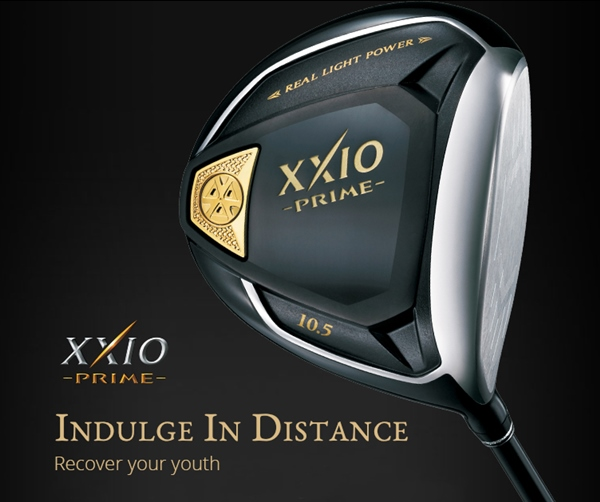 There are few brands that offer ultra-lightweight equipment that increases swing speed, and XXIO is one of them! This Saturday, April 6th from 11 am - 3 pm. Sign up now: http://bit.ly/2OBkPAV This Saturday, April 6th from 11 am - 3 pm. We are only a month away from the start of our Spring Ladies Clinics. 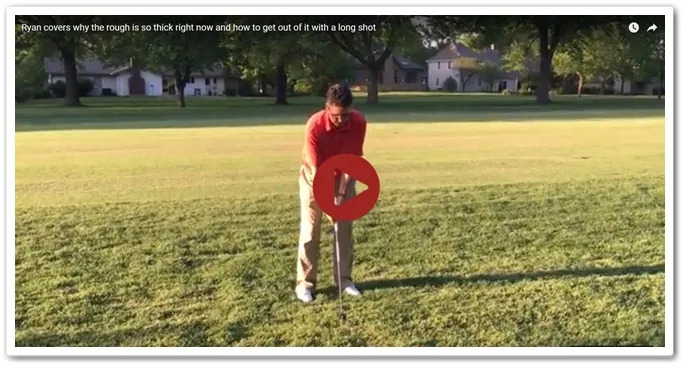 This is a great way to get the season started with some work on all of the basics in the golf swing and short game. These clinics are available to players of all skill levels. It is the first day you can sign up for our most popular, all member, event of the season, the Men’s Quota. This year we have put together a top-notch weekend for you to enjoy. It appears that the winter weather will be clearing out of here next week and hopefully we will be on to the 2019 season for good! That must mean it is time to start focusing on how you are going to become a better player this season. Let us help you: http://bit.ly/2F4rNtA It appears that the winter weather will be clearing out of here next week and hopefully we will be on to the 2019 season for good! We are only about one month away from our 2019 Men’s League Draft! The CCL Men's League plays on Tuesday evenings and is our largest all-member event of the year (over 200 members participating). For our new members to the league, we kick off with a draft of any new players (all new players are drafted onto an already formed team). This provides for some mixtures in who is on each team and makes the CCL Men's League an excellent opportunity for new members to meet some players at the club. Spring is around the corner - so it's time to stock up! To help you get the season started properly, we are giving you a great chance to stock up on some golf balls and gloves. To place an order for any of the deals you can reply to this email. The golf balls must be personalized to get the deal so please be sure to tell me how you would like to customize the balls. The gloves can be picked up from my stock, so stop in and grab them at your convenience!http://bit.ly/2SvBSof Spring is around the corner - so it's time to stock up! We're taking a trip...to the home of golf! Join us on a trip to Scotland to play. I have listed the courses we will play and hotels we will stay at below. To get the guaranteed times at St. Andrews, I can only bring 11 players with me so let me know ASAP if you would like to be included and I will follow up with more information about payment and such once I fill all the spaces for the trip. For more details on the trip (including cost), you can click here: http://bit.ly/2STzeO8 We're taking a trip...to the home of golf! Your kids are wanting to know "when do they start?" Our 2018 Junior program was a huge success, and in 2019 we will continue to stress the importance of the juniors getting out on the golf course as we feel it is a vital part of them improving their games. We had over 80 people sign up for Eagle Club in January and get entered for a chance to win a new Callaway EPIC Flash driver or a Callaway PM Grind wedge. Check out the video below for our winners! Congrats! We are hosting a Rules Seminar with the KCGA on Wednesday, February 13th at 6:00 pm. With all of the new rules coming in 2019 I strongly encourage you to join us for the 90-minute presentation that will include updates to the rules and a short rules quiz after to test your knowledge. So far we have covered the ball search being limited to 3 minutes instead of 5 this year. 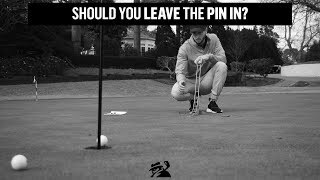 This week we focus on putting with the pin in! 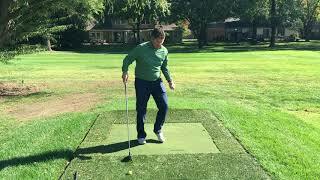 I have to admit it is hard to get used to seeing this, but studies have proven that leaving the pin in gives you a better chance at making putts and we all certainly can use help in that area! Dustin and I played a couple of rounds in Florida last week, and we tested the waters of this new rule. 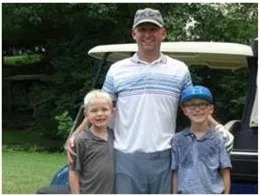 Dustin drained a long birdie putt that struck the pin and went in, and I found out that if you can’t hit the hole, it doesn’t matter whether the pin is in or not (have I mentioned I can’t wait for my new Stroke Lab putter to arrive?). Click for great information: http://bit.ly/2HLoQ5W We are hosting a Rules Seminar with the KCGA on Wednesday, February 13th at 6:00 pm. What are you going to do with the extra speed? A good start to a great year - 2019! We are going to get the 2019 season started with a great offer for savings all year! Our Golf Shop’s Eagle Club program has continued to grow over the past 7 years from 40 members in 2012 to over 130 in 2018! In 2019 we are offering an extra incentive to any of you that sign up early! See below for the details and a few reasons why Eagle Club makes sense for every single one of you! 1. I am very lucky to own the Golf Shop here at Country Club of Leawood. My family, my staff and I greatly appreciate your support with every purchase made here at CCL! 2. 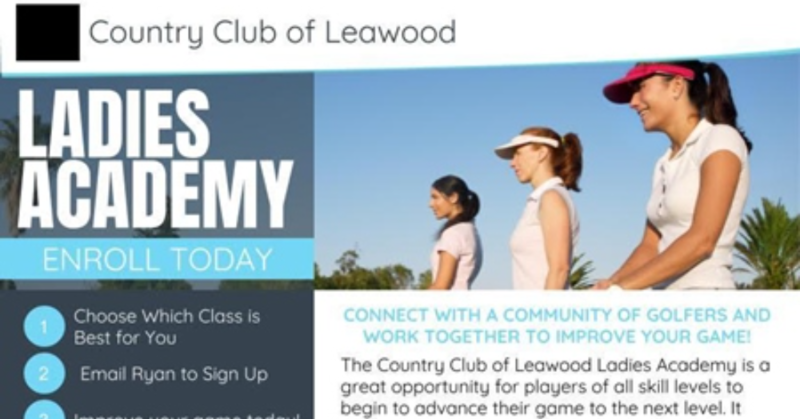 As your Golf Professionals at CCL, we take great interest in helping you improve your game. We are not just here to sell you a club and send you on your way. We love helping you get better through lessons or club fittings. It is why we do what we do! To read more click here: http://bit.ly/2snZvog We are going to get the 2019 season started with a great offer for savings all year! Happy Thanksgiving and enjoy being with friends and family! No lines. No waiting. Just good deals! As we come to the Holiday Season we also come to the season of shopping. It has been 7 years that my family and I have had the privilege of owning the Golf Shop at CCL and being a big part of your golf lives! As always we greatly appreciate the support that we get from the members and many of your guests as well. As a thank you for all of your incredible support we will start our holiday sales on SMALL BUSINESS SATURDAY this year and will be offering 15% off everything in the Golf Shop (25% off for Eagle Club members)! Visit us: http://bit.ly/2FxWQBQ As we come to the Holiday Season we also come to the season of shopping. 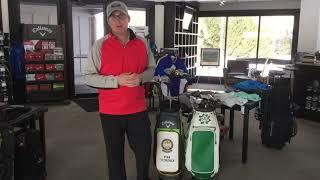 With the holidays coming up we know many of you are racking your brains about what to get the golfer in your life. Below we have highlighted several great options that we have available to you. Last week we highlighted the successes of our 2018 students and have already started selling up some of the Winter Lesson programs that we have we starting right now and running through March 31st. That program will get you unlimited lessons for only $700 (Juniors for $600)! When scheduling these lessons we have the ability to work on any part of your game including full swing, short game, putting, bunker play, on course and anything else you can imagine. Take your game to the next level in 2019! With the fall season here we will play in a lot more wind. 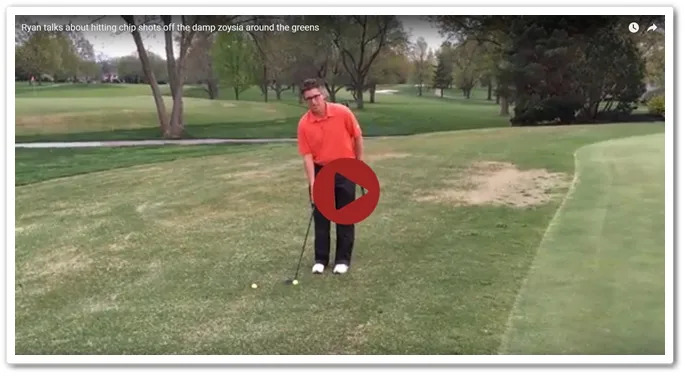 Here is a tip to help with iron play and drivers into the wind. Get the tips now: http://bit.ly/2zcPzkv With the fall season here we will play in a lot more wind. 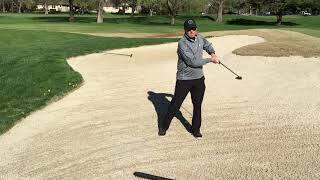 Here is a tip to help with iron play and drivers into the wind. As we hit the end of the season, it is time for some savings on shoes. Starting today and continuing through November 15th we will be offering 40% off all in-stock shoes. We still have some great selections from adidas, FootJoy and Nike. Congratulations to the Blue Team for taking the Cup! It was about time for the Red Team to take it easy on the Blue Team. The 7th year of Red vs. Blue brings us to a total of 4 Red wins vs. 3 Blue wins! Enjoy the photos: http://bit.ly/2EimOZa It was about time for the Red Team to take it easy on the Blue Team. This weekend marks the 8th annual CCL Ryder Cup. Finally a chance for an American team to win one of these matches! This event is continuously one of the favorites out here and we are certain that this year will be another great one! Get your game faces ready and join us for the Pairings Party on Friday night at 6:00. We are only 8 days away from the 2018 CCL Ryder Cup on Saturday, October 6th. This event is always one of the most fun events of the season and gives you the opportunity to play several different formats that you will see played during the actual Ryder Cup this week. It's time for the Blue Team to take back the Cup! The weekend after that comes your chance to give the Ryder Cup formats a go in the 8th annual CCL Ryder Cup. For this event, we split the field into two teams. As long as you continually play from year to year you stay on the same team. Needless to say the rivalry between the Red Team and the Blue Team is very strong. Why should you have a pre-shot routine? Today we talk about the importance of having a routine and Ryan goes through his pre-shot routine. Routine is crucial for good play in big events like the Club Championship coming next weekend. As we move on to September and eventually into some cooler days it is time for us to make some room for our fall lines in the Golf Shop. We have two great opportunities for you this Labor Day Weekend. Come check out our specials: http://bit.ly/2C3Bc6q As we move on to September and eventually into some cooler days it is time for us to make some room for our fall lines in the Golf Shop. Cooler weather and plenty of golf to be played! It is crazy to think that Labor Day is only a week away. Take a look at some of our upcoming events and be sure to join us for some great golf and great weather here at CCL! http://bit.ly/2MKbok0 It is crazy to think that Labor Day is only a week away. With results like these - why wouldn't you use Callaway Chrome Soft? Last week we had a Callaway Ball Fitting and the results (listed below) speak for themselves. If you haven’t tried the new Callaway Chrome Soft or Chrome Soft X golf ball with Graphene, then you are missing out on some easy distance. Come through and grab some to try out today! Join us this Friday, August 10th at 11 a.m. for our Golf Ball Fitting for your chance to test the Callaway Chrome Soft or Chrome Soft X against your ball and see for yourself how good this ball is! It's Father's Day next week - need something great for him? Next week we have the opportunity for your golf to get better, much better! Spring Junior Clinics Only 2 Weeks Away!!! We are only two weeks away from the start of our Spring Junior Clinics and we still have a few openings. I have listed below the times as well as included a link to sign up on our Operation 36 CCL website. This year of junior golf is going to be incredible as we are very excited about the new program we are rolling out to help advance the juniors through the game and give you a better opportunity to follow along with their progress! For more information click on the link below to look at our schedule of clinics. Sergio Goes Rogue and Wins Big!!! One week into his Callaway Staff deal and I would guess that Sergio feels pretty good about his decision. This week he played all 14 clubs from Callaway and the new Callaway Chrome Soft and turned in a big win in the Singapore Open. His win included a final round 66! As we mentioned in last week's email it will be another great year for Callaway. Keep in mind that all of these clubs are available in the Golf Shop to try out and the new golf ball will be here in three weeks! The 2017 golf season is almost here and we have some great new things planned for our juniors this season. This year we will again be offering Spring and Fall Clinics on Thursdays and Saturdays. Our Summer Program will be starting the first week in June. We are busy working on creating some new and fun ways of teaching the kids and we are looking forward to having all the juniors out to enjoy the course! Country Club of Leawood will again participate in the Junior KC Cup in 2017. Details are below. This is a touch more competitive than PGA Junior League, but still a great entry level competition for our juniors. Who is eligible? The Junior KC Cup will be open to any of our juniors from the ages 9 to 15. We will work to put together as strong a team as possible for each event. What is the format? Each team will be composed of six players playing in the following divisions. The team score will be the one lowest score from each division. The team will then earn points based on what place we finish amongst the other teams playing. When and where are the events? Listed below is the schedule for the matches. How do you get your junior into Junior KC Cup? The first step is to let me know that your child is interested and what their availability is for these 5 dates. 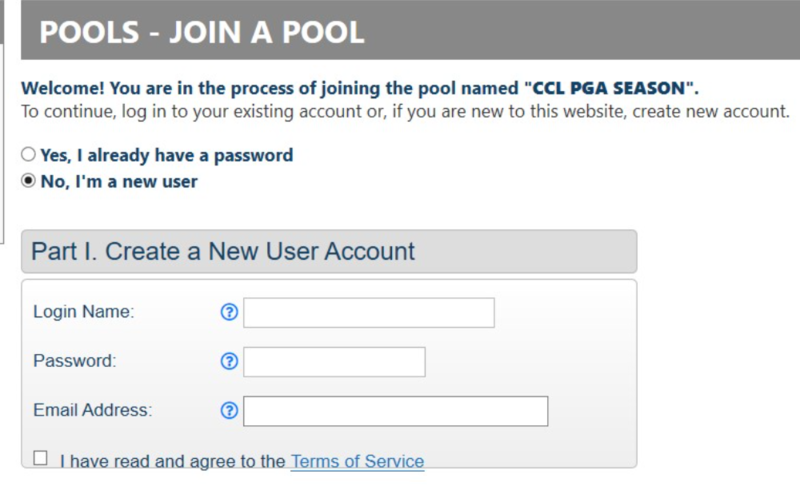 The second step is to sign up through the Kansas City Golf Association. The cost will be $100 (only $60 if your junior is already signed up for the KC Junior Tour). Last year was our first year with PGA Junior League and our team had an amazing time! What is the format? Each match will have 12 players playing. Those 12 players will split into four teams of three and each of them will play a 9-hole match against one of the teams from the other course. The 9-Hole match will be split into three 3-hole matches (each of these being worth one flag). The team with the most flags at the end of the matches is the winning team. During the matches the players will play a scramble format. When and where are the events? We will be following up with much more information on this over the next couple weeks. At this time we do not have an exact schedule, but we do know that we will be in a league with Lake Quivira, Hallbrook and Blue Hills. We will play a home and away match with each team. How do you get your junior into PGA Junior League? Contact the Golf Shop and let us know your junior would like to participate. The fees for the league will be $200 and will include playing in at least 4 of the matches as well as a weekly practice (clinic) run by one of our Golf Professionals. Thank you so much for the great early support of the 2017 Eagle Club. We really appreciate everything you do to support the Golf Shop here and know that 2017 is going to be an EPIC year! Let me know ASAP if you would like to join 2017 Eagle Club and start the savings now! 1. As your Golf Professionals, we have a vested interest in helping you improve your game. We are not just here to sell you a club and send you on your way. We love helping you get better through lessons or club fittings. It is why we do what we do! 2. There is not a place in town that beats the prices we have. We will match anything you find and we will offer a FREE club fitting with it. We also will take your old clubs and give you credit for them! 3. I am very lucky to own the Golf Shop here at Country Club of Leawood. My family, my staff and I greatly appreciate your support with every purchase made here at CCL! I have listed the details of the 2017 Eagle Club below. To join the Eagle Club, you can click here. Thank you for your support! **These discounts earn you the best prices on everything golf, including apparel, clubs, shoes, balls and all accessory items. All of the above is included for only $250! ** Thank you so much for the great early support of the 2017 Eagle Club. We really appreciate everything you do to support the Golf Shop here and know that 2017 is going to be an EPIC year! This is a new event to the calendar for 2017. The Dunning Cup is a Gross Match Play (no handicap) bracket event that will be played throughout the year. In order to participate in this event players will need to play a qualifying round from the blue tees between now and May 1st. The player with the lowest score will earn the #1 seed and we will seed all players based on their qualifying score. The field will then be split into pods of four players and each player will be guaranteed three matches. The player from each pod with the best record will move on to compete for the finals (or semi-finals dependent on number of qualifiers). All matches will be played with no handicaps and will be played from the blue tees. Grab a partner and sign up for this year-long four-ball event. The sign up deadline is Sunday, April 23. I will post brackets on Tuesday, April 25 and it will be your responsibility to schedule your matches by the deadline. Matches that are not completed will be decided by a coin toss unless otherwise determined by Ryan Fitzpatrick. Weekly play will start Tuesday, April 18th and continue through Tuesday, August 29th (there are a couple of open weeks due to Memorial Day, Jambalea and 4th of July). Each week four players from each team will compete and your team will play one other team from the league. The four players from your team will be split into two teams of two players. The teams will then play against two players from the opposing team in a four-ball match. In addition to the four-ball match, each player will play an individual match. Individual matches will be determined by splitting the teams into A, B, C and D players and having A vs. A, B vs. B, C vs. C and D vs. D. The winner of each of these matches gets one point for their team. The most a team can win in one week is 6 points. This past Saturday was an incredible day at Country Club of Leawood. We had over 180 players on the course and had over 30 members participate in the Driver Challenge Day on the Driving Range. 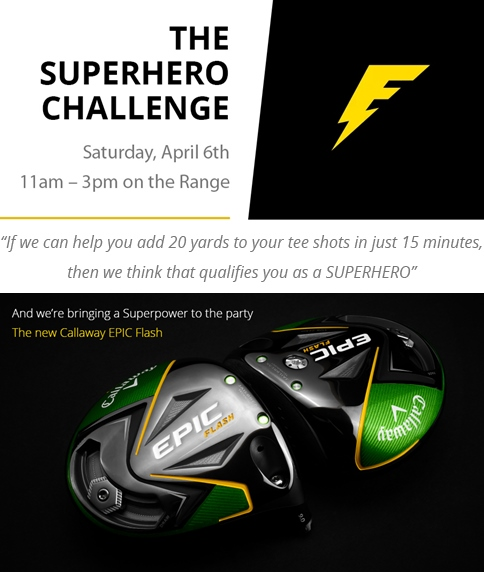 We have highlighted below just a few of the members that were able to see incredible gains in either the new Callaway EPIC Driver or the TaylorMade M1 or M2 Drivers. As you can tell, it is obviously a good year for drivers from both of these companies! Simply click "Reply" to set up a fitting to see how many yards you gain!